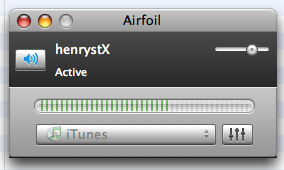 Rogue Amoe­ba released ver­sion 2.0 of Air­foil, one of my absolute essen­tial mac appli­ca­tions. If you own an Air­port Express, and are less than impressed by iTunes’ trans­mit­ting capa­bil­i­ties, plunk down $25 now. And, to top it off, the UI has been much sim­pli­fied. Nice job! UPDATE: Ver­sion 3.2 was released in May 2008. See Rogue Amoeba’s web­site for more infor­ma­tion. I got Pan­ther (OS X 10.3) this week, and final­ly found the time to install it on my newish 12-inch Power­book. No prob­lem, right? Maybe if I weren’t such a retard. 11pm. I loaded the disk, and nav­i­gat­ed through set­up with­out a prob­lem. Of course, as soon as I fin­ished, I for­got that what I real­ly want­ed was to par­ti­tion my gigan­tic 80GB dri­ve into a Sys­tem disk, and a Scratch disk. After Pan­ther was up and run­ning, I went to the disk util­i­ty, and when I clicked on “par­ti­tion”, it told me that I couldn’t par­ti­tion the HD because it was the “boot vol­ume”. Oh, right. That makes some sense, I guess. So, I insert­ed the Pan­ther install CD again, and reboot­ed. Then I ran the disk util­i­ty in the Pan­ther set­up. This let me par­ti­tion the dri­ve as I liked—though it would erase every­thing, which was OK by me. Since every­thing was erased, I then tried to com­plete the Pan­ther install again—but it told me it couldn’t do it, because no ver­sion of OS X was found on the com­put­er. ::huh? :: It can’t install Pan­ther on a blank for­mat­ted dri­ve? So, I loaded up my Apple restore disk, installed Jaguar, (which takes about 20% longer) on the new sys­tem par­ti­tion, restart­ed with the Pan­ther Install disk once again insert­ed, and final­ly I was able to then erase the Jaguar install, and install Pan­ther. The Find­er seems very respon­sive and quick. Font Book, the new type man­age­ment soft­ware fills a huge hole left by Jaguar. A must-have for graph­ic design­ers. Win­dows Friend­ly! Sup­port for Win­dows Net­work­ing, includ­ing print­ing to a shared Win­dows print­er & VPN access. Apolo­gies for being so clut­ter-mind­ed this morn­ing, but all of this kept me up well past my bed time! This is old news to any­one who speaks with me reg­u­lar­ly, but I’ve final­ly made the switch—to a Mac. Yes, I know, apolo­gies go out to my par­ents and every­one that I berat­ed over the years for fool­ish­ly buy­ing Macs – I just couldn’t resist any longer. I’m now the proud own­er of a G4, with a diminu­tive 350mhz chip, new 80gb dri­ve, 896mb RAM, OS X 10.2, and all the open source soft­ware I care to install. I was relieved to see that all my periph­er­als were eas­i­ly installed, and I’m get­ting bet­ter at nav­i­gat­ing the OS. + How do I min­i­mize all win­dows to the desk­top with a key­board short­cut? + Work­ing with files in direc­to­ries is a bit weird—though I’m get­ting used to the col­umn view. + It’s con­fus­ing dis­tin­guish­ing between “home” and “com­put­er”. + win­dow focus: why do you have to click on an inac­tive win­dow first, and then select an item? That’s 2 clicks! In win­dows, you can click on a file in an inac­tive win­dow, and it will select as it sets the win­dow focus. + Safari ren­ders type real­ly real­ly small—i don’t mind, but it wor­ries me that my web­site has such tiny type. With the com­plaints out of the way, I have to say that I’m beam­ing with pride… some­thing new to evan­ge­lize on. And I’m not the only one.